2 left in stock. Order now for immediate despatch. 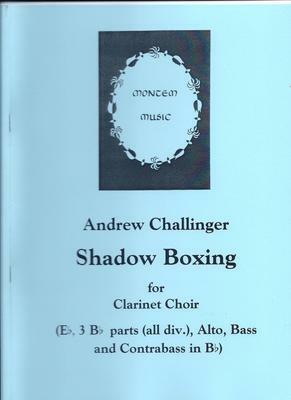 Shadow Boxing divides into two sections which are thematically linked. It is not a piece to be tackled lightly. There are difficulties in all parts, not just with the notes but also with the rhythm. The opening has quite a lot of high-register writing and the main section involves constant time changes and some rapid passagework. It should be a useful challenge to a skilled group. What do you want to know about Shadow Boxing?